This lawsuit defends your voting rights. 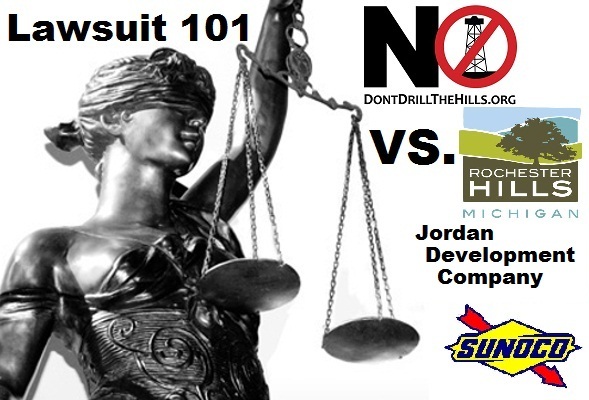 Don’t Drill the Hills, Inc. filed a lawsuit on behalf of its members and the residents of Rochester Hills to enforce their right to vote on the lease the City of Rochester Hills entered into with Jordan Development Co., and the sale of the easement in Bloomer Park to Sunoco Pipeline. DDHI members assert that because of rights specifically granted to voters in the law, the City Council over-reached and didn’t have the authority to enter into a valid agreement unless they were given prior voter approval. At the heart of our argument is the common interpretation of the law that city ownership of the parks and cemetery consist of the entirety of the real estate, not only to the plot of land itself, but also to the air above and the ground below. The Jordan lease and Sunoco easement convert the subsurface away from a non-conservation use, therefore the City Charter requires voter approval before the City can enter the lease or convey the easement. Additionally, the lease allows Jordan to use the land to extract and sell the oil and gas found in the park and cemetery properties. Again, a lease or sale of any part of a park or cemetery requires voter approval. City-owned parks and open spaces shall be used only for park and open space purposes and shall not be sold, leased, transferred, exchanged or converted to another use unless approved by a majority of votes cast by the electors at an election. 11.8.1 “Converted to another use” means changing the use of a park or open space, or significant part thereof, from a recreation or conservation use to another use not directly related or incidental to public recreation or conservation. The City, Jordan and Sunoco interpret the language to mean that they could go ahead and lease the city parks and cemetery for underground oil and gas exploration, and grant a new easement to Sunoco for a pipeline in Bloomer Park without a vote of the electors. The City is essentially saying that it wants discretion to interpret the law. Their justification is that if they consider something affecting our parks “minimally” (it’s only a little bit of an easement change, it just impacts the subsurface, etc.) then it can go ahead and enter a legal agreement without voter input. The problem is, where is the line drawn? What would meet their threshold for seeking approval from the voters? DDHI is seeking a “declaratory judgment” that the law was misinterpreted and incorrectly applied by the City Council, and that the discretion to enter an agreement impacting the parks or cemeteries is with the voters. It is asking the Court to declare what the language actually means. If the Court agrees with the DDHI interpretation it would result in voiding the actions that were taken by City Council when misinterpreting the laws affecting the Jordan lease and the Sunoco pipeline easement. The attorney for Don’t Drill the Hills, Inc. is currently drafting a brief to support its allegations and in response to the Defendants’ requests that the case be dismissed. After the brief is filed with the Court, the parties will appear before Judge Alexander and supplement their written arguments with in-person arguments presented to the Judge. After these arguments the Judge will then rule on the Defendant’s motions to have the case dismissed. He can choose to rule from the bench and the parties will know whether the case is dismissed, or can move forward. The Judge may also take the matter under advisement, and send out a written ruling at a later time, and the parties will have to wait to know the fate. Upon knowing the Court’s ruling each party will then need to decide its next steps, which could include a trial or an appeal. May 15, 2014 – Don’t Drill the Hills files lawsuit against City of Rochester Hills and Jordan Development Co.
May 23, 2014 – Judge Alexander of Oakland Co. Business Court orders case out of business Court to Judge Warren because DDHI claim is a declaratory action and allegations don’t contain request for damages exceeding $25,000. June 4, 2014 – Judge Alexander decides to take case back and vacates his earlier Order and puts case back on his docket. June 23, 2014 – City of Rochester Hills files Motion for Summary Disposition asking Court to Dismiss DDHI’s lawsuit as without merit. June 25, 2014 – DDHI files an Amended Complaint adding allegations that City of Rochester Hills again violated the Charter and Homes Rule Cities Act when granting an easement to Sunoco Pipeline in Bloomer Park. A Charter Amendment in 2011, initiated and approved by voters of Rochester Hills, gave specific protections to City parks by requiring changes in the park usage (leases or sales) to be approved by voters. State Law, through the Home Rule Cities Act, also specifies that voter approval is required to lease or sell city parks and cemeteries. In 2012, Jordan Development Co. approached the City and sought leases to extract oil and/or gas from below Nowicki Park, Tienken Park and Van Hoosen Jones – Stoney Creek Cemetery. In late 2012, the City Attorney advised council that the aforementioned laws don’t apply to the proposed leases, and a majority of council then approved the oil and gas leases for the City land. As local citizens became aware of the possibility of oil and gas exploration and extraction in their parks and neighborhoods, they engaged local and state government leaders. The citizens tried to persuade these leaders to be more transparent and attempted to maximize their efforts to communicate with the public in order to better regulate oil and gas in residential areas. 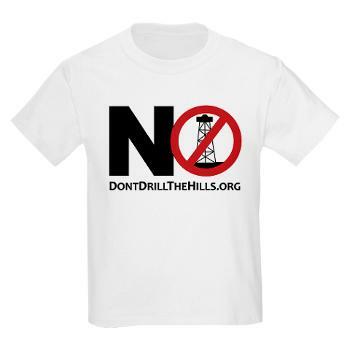 After numerous grass-roots requests for public hearings and a failure to void the City lease, local Rochester Hills citizens formed Don’t Drill the Hills, Inc. (DDHI) to coordinate these efforts and to represent the interests of its members in a legal challenge. During the timeframe when local citizens were regularly appearing at Council meetings and voicing their displeasure over the oil and gas lease’s violation of the City Charter, Sunoco Pipeline approached the City and sought approval for a new easement through Bloomer Park so that they could move their existing pipeline (soon to be used to transport an increased flow of oil through the park) to a new location within the park. This pipeline easement was presented for approval and appeared as the last item on the April 7, 2014 Council agenda (the week of Rochester Community Schools Spring Break). No legal opinion analyzing the Charter or Home Rule Cities Act was given to the Council. There was little discussion or debate, but immediately prior to the Council’s vote, the City Attorney reminded Council that Sunoco had just donated $100,000.00 to the City for miscellaneous unrelated projects. A majority of council members (everyone but Steph Morita) then approved the sale of a new easement for Sunoco to move their pipeline through a new section of Bloomer Park.